At FF Web Solutions, we know that website design is a methodical process that starts with a clear vision of what you need to accomplish and the audience you want to reach and convert. It requires thoughtful planning, meticulous engineering, thorough user testing and execution — and an ongoing measurement and improvement process — resulting in a powerful tool that satisfies your users and serves your business purposes. It’s the translation of your specific business vision and objectives into a one-on-one conversation with your targeted customers. It’s how you say, “Yeah, we can do that for you,” and “Look, it’s right here,” and “Thanks for your order, see you again soon,” before they can bounce off. We don’t just develop websites for businesses. 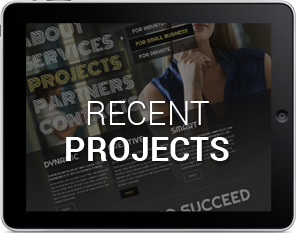 We develop solutions to business goals that happen to be in the form of impressive websites, designed especially for you, so your customers can find you faster. Sometimes the rigors of website design can be overwhelming and time consuming. We have the experience and know-how necessary to tackle just about any website related issue. Let us make your vision reality. Search Engine Optimization is a nuanced game of finessing content, keywords and other important signals, where the rules can change without warning and today’s successful ranking might not make tomorrow’s cut.